The Tunable Practice Pad™ Gray with Ambassador® Coated drumhead is the perfect tool for beginning and advanced drummers. 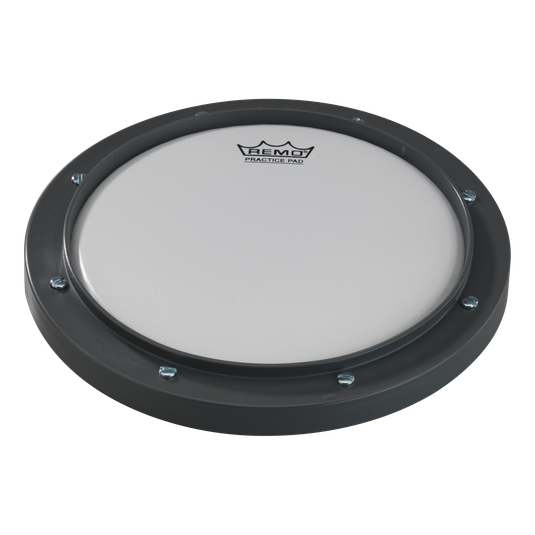 The Tunable Practice Pad™ features a replaceable Ambassador® Coated drumhead providing the bounce and feel of a real drum. The Practice Pad™ can be mounted on a stand for upright playing and has a protective rubber bottom for non-scratch/non-slip table top use.